The LA County Sheriff's Department is looking for Nimrod Perez Guerrero, 33, in connection with the murder of a woman and her daughter, whose bodies were discovered Wednesday at an apartment complex on Colorado Boulevard, across from Monrovia High School. Guerrero is considered armed and dangerous. 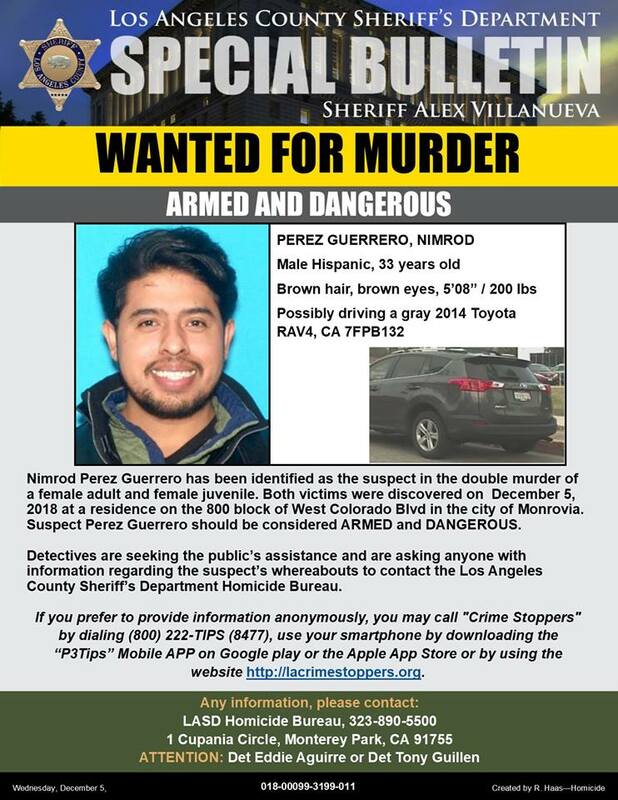 If you have any information about the suspect, contact the LA County Sheriff's Homicide Bureau at 323 890-5500, or anonymously at 800 222-8477.